If you follow my work I would be willing to guess that you both care about the environment and wear clothes. For too long I have had my head in the mud when it comes to clothing but I have finally decided to wake up. One of my best friends in the world, Stacey Oliver, has just completed a masters degree in sustainable fashion out of Parson's School of Design and is launching the new California-based business Garment Hub which does everything from Marie Kondo style closet makeovers with an environmental edge to alterations and clothing upcycle redesigns. I would encourage you to follow her social media pages (Facebook,Instagram) where she is posting lots of interesting and inspiring information about how to help the world with your clothing choices! One thing she has put me onto is the "Good On You" app. 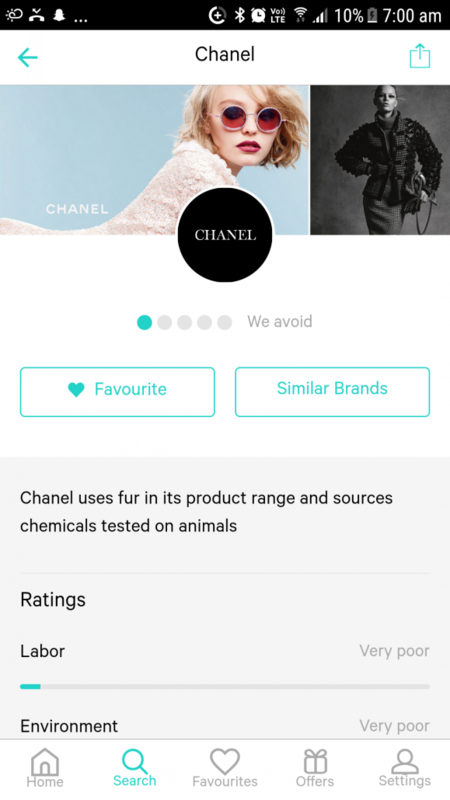 With this free app you can enter all your favourite shops and brands to see how they rank in terms of ethics (conditions for factory workers), the environment, and for the animals that the clothing may be sourced from. It is truly fascinating! Below are some screen shots directly from my phone from the app. From now on I am pledging to be as intentional about my clothing choices as possible. No more buying something on impulse just because it's cute and cheap!! One of the things Stacey has taught me is that fashion labels can get away with almost anything because their products are made all over the world. They can choose to use factories in countries where workers have little to no rights and get paid almost nothing. They can also choose to conduct their operations in countries where it is legal to dump insane amounts of polluting chemicals directly into rivers. The fashion industry is now one of the most polluting industries on Earth because they can escape all legislation that would require them to make more responsible choices. 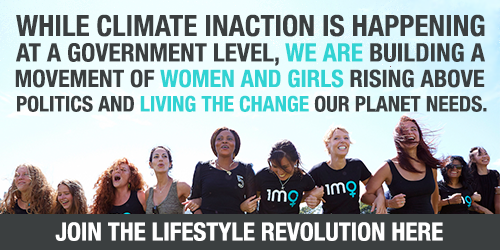 The only way to change this is to hold clothing companies accountable. We can avoid the companies that do not disclose information about how the factory workers are treated and the environmental toll of how they go about creating their products – and we can certainly avoid those companies that are known to have a poor track record in these areas. We can then also reward the companies that are doing things well or at least making steps in the right direction. Please download the "Good On You" app and start investigating the brands that are hanging in your closet. What have you been supporting? It may be a big eye opener! 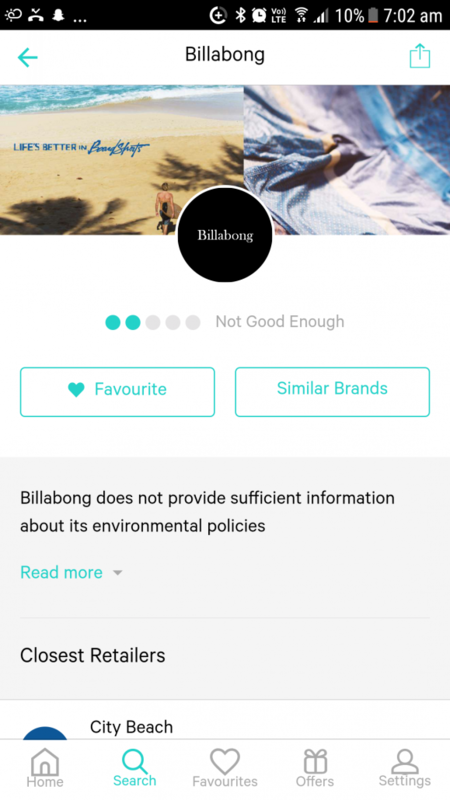 If you find that some of your favourite brands have a poor ranking, you can also use the app to send them a message to request that they improve these things! Disclaimer – I understand that we can't always make the most deliberate, informed, socially responsible and environmentally responsible choice every single time. I get that (and this is true for me also) – but I really believe that it's time for us to stop using shopping as a recreational activity/pastime and become a hell of a lot more deliberate about what companies we support. An alternative to shopping sustainable labels is to shop second hand through thrift stores, op shops, Gumtree, Craigslist, and good old Facebook Marketplace where possible. Many of the items that you will find through these sellers are practically brand new so you can get whatever item you are wanting (even if it doesn't have the best social/environmental track record) without actually financially supporting the brand itself and therefore rewarding them for poor behaviour .. and as a bonus second hand stuff is almost always cheaper, too. Do exercise some caution with your second-hand purchases, though. The fact that you are saving an item from landfill does not necessarily make it an environmentally-friendly choice. Many fabric types contribute to ocean plastification (especially polyster, nylon, and fleece) when they go through the washing machine. The tiny microparticles that come off of the fabrics are too small to be processed by wastewater facilities and they end up flowing directly into the ocean – and as fabrics age they will shed these tiny polluters even faster. 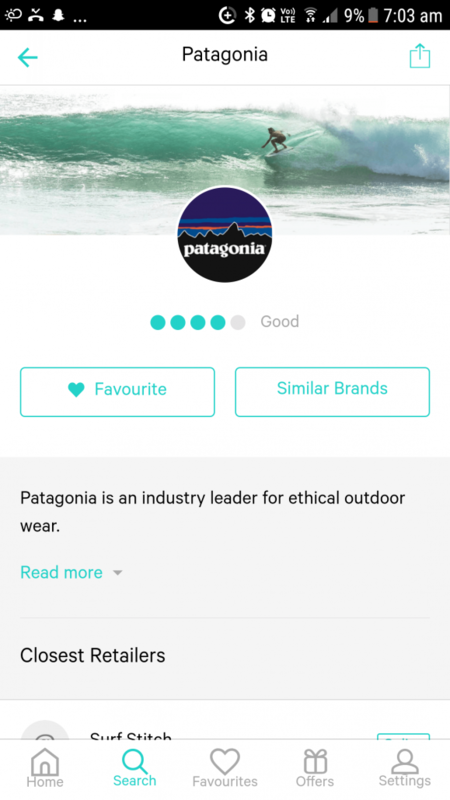 Feel free to comment below or on our social media pages about what you discover about the brands you know and love though the 'Good On You' app! Carly Wilson is the founder of Conservation Heart Films. Her latest film, Rubber Jellyfish, about the surprising damage of helium balloons on marine wildlife is currently screening worldwide. See if there is a screening near you at rubberjellyfishmovie.com or follow the film on Facebook (Rubber Jellyfish - the Movie) and Instagram (@rubberjellyfishmovie). Carly also blogs on her personal website.